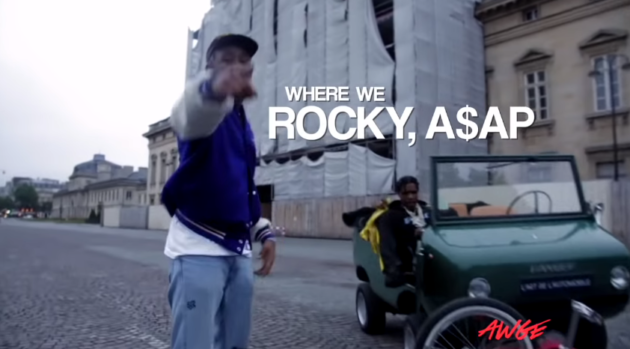 Home / ASAP Rocky / Tyler The Creator / VIDEOS / Video: Tyler, The Creator x A$AP Rocky "Potato Salad"
Video: Tyler, The Creator x A$AP Rocky "Potato Salad"
Moments after teasing the song on their AWGE3 DVD, A$AP Rocky and Tyler, The Creator debut the video for Potato Salad, which is a remix of Monica and Missy Elliot's 2003 hit single Knock Knock. The video for the collaboration was shot in Paris. New joint album, WANG$AP, a flip of Tyler's Golf Wang brand and A$AP's name ... is reportedly coming soon.